Renting your home is a very personal decision; and, one that we will not take lightly. 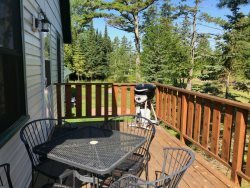 Madeline Island Vacations is dedicated to turning your Madeline Island home into an active and ongoing source of rental revenue, while respecting the privacy and personal nature of your property. Our goal is to ensure that your property is well managed; and, visitors treat your home with respect. Our services include the marketing, reservation management, 24 hour online booking, all contact with guests for both pre-rental and post-rental issues, check-in and check-out functions, housekeeping and solid/recyclable waste disposal. Our personal service will give you the confidence that your property is being professionally managed. You owe it to yourself to find the most reliable and respected company to represent your interest when opening the doors of your most important assets, your home! We hope you put our dedication and experience to work for you; and, choose Madeline Island Vacations as your Vacation Rental Management Company.